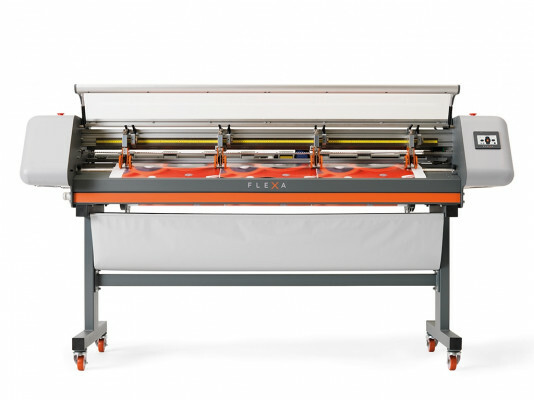 We’ve partnered with the Italian manufacturer FLEXA and are now selling the FLEXA Miura II XY large-format cutters. They really are incredible machines and a true, value-for-money investment when you consider its price point versus its exceptional build quality. 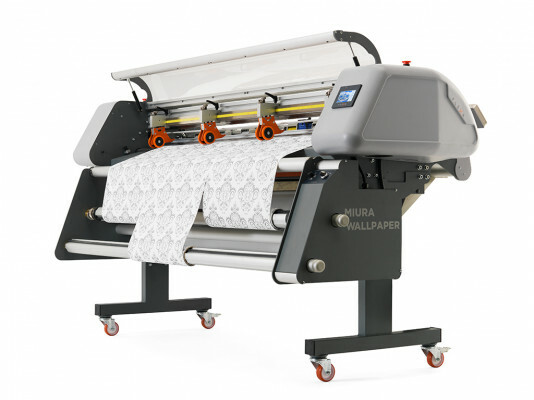 The Flexa Miura II performs to perfection and we think that it outshines all other cutting-machine brands currently available in the market. 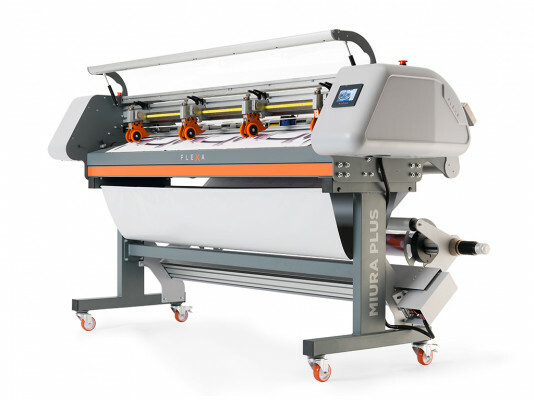 FLEXA Miura II is a really useful, time-saving and efficient piece of equipment for our large-format customers, and not only does it deliver fast, pinpoint-precision cutting, it is ideal for projects that need a quick turnaround and perfect-cut repeatability. This high-performance cutting machine has rotating blades for X and Y trimming of flexible materials from roll to sheets. It combines horizontal and vertical cutting for the fastest and most precise finish for your printed and unprinted rolls. It can cut a 50m roll in 3 minutes flat. All trimmed images are cut perfectly square every time. It has 3 operational modes: crop mark, automatic and manual. User-friendly software (LCD touch screen display). Long-term reliability and safety combined with low maintenance costs. The FLEXA Miura II works across the entire Papergraphics range making it suitable for paper including laminated and encapsulated; fabric-backed and paper backed wall coverings; vinyl & self adhesive vinyl; backlit and frontlit display media; reflective materials; PVC banner material (up to 900 gr/m2- 27 oz./ya2); magnetic rubber; polycarbonate (film), canvas & polyester (with liner). All this as well as working with media printed using Eco-Solvent, UV Gel, Latex and UV-Curable inks. 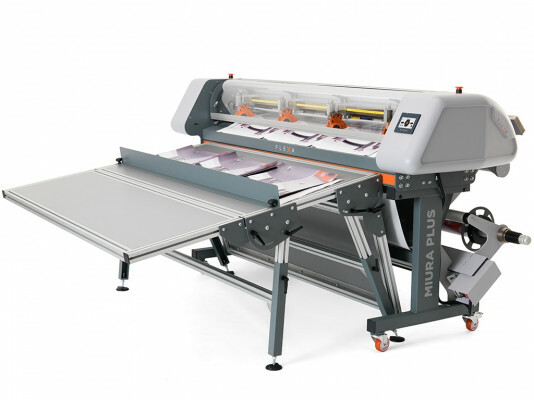 If you’d like to find out more about these superb automatic XY cutters – just give us a call. We’d be more than happy to both set up a demonstration for you or provide training to get you up and running in no time. High performing cutting machine with rotating blades for X and Y trimming of flexible materials from roll to sheets. 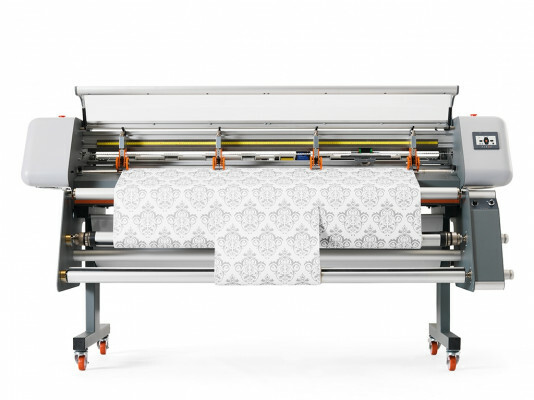 It combines horizontal and vertical cutting for the fastest finish for your printed and unprinted rolls.